Ten million surgical procedures take place in the UK per year, with cancellation rates at around 20%. Currently hospitals use non-standardised paper based preoperative assessments, conducted by clinical staff during a 45-minute hospital visit, which can extend upwards of 3 hours for some patients. This is a resource intensive process often completed too close to the surgical procedure to reallocate resources should a cancellation occur. Synopsis Healthcare provides a more efficient process of preoperative assessments using an online assessment questionnaire. This allows hospitals to focus staff resources more effectively in managing theatre throughput, and allows up 40% of low risk patient to avoid having to attend a full pre-operative clinic. Resources can then be better focused on higher-risk patients. 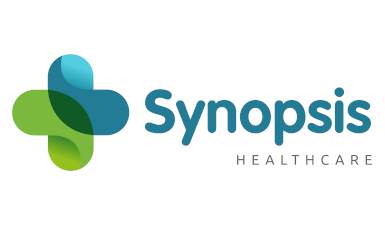 Synopsis helps reduce surgery cancellations, improve efficiency and productivity, better manage patient safety risk, improve patient experience, and increase revenue reimbursement. Active customer Southend University Hospital, Essex, reduced pre-assessment process from 44% costs down to 31% running costs, saving the small unit £80,000 a year.